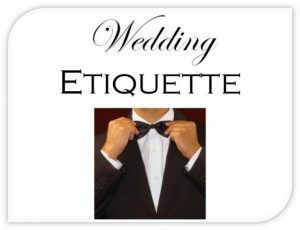 Etiquette for when to send what, including the Thank You’s and avoiding the ever frustrating ‘Why have you not RSVP’d, I need to give a head count’. What to do and when to do it can be tricky with wedding planning so I am here to help you timeline it out. Boy meets girl, dates for a suitable amount of time where they haven’t scared each other off, then allows their family a go at scaring the other one off, then upon surviving it all, they decide since no one is scared, they’ll plan a huge party and stick it out for life. This timeline is personal, not etiquette based so if you went a literal love at first sight way, or an ‘it’s common law by now anyway’ route, there’s no right or wrong here. But once you decide to involve whatever select sample size from the entire population you see fit to share in your big day, well, the rules do apply. When do we tell people to Save Our Date? Save the dates should be sent about 6-8 months before a wedding. Unless you’re a destination wedding, in that case, 8-10 months is customary. You have to give people time to scour every travel site known to man to get the best deal, unless you’re organizing it all, in which case, see my next article “Timeline for your arrival at the Looney Bin”. Also, if you decide to have a holiday wedding you may want to follow Destination guidelines so people can make the proper arrangements. What about my shower? When should I encourage my squad to get those out? Umm, you shouldn’t, don’t be bridezilla unless your girls are either A-first timers, or B-lazy and disorganized. But GIRLS: you should tell your bride you are preparing to send her invites out, or that they went out, so she doesn’t become a loose cannon. And PS – you should send those out 6-8 weeks before the event. Also, keep the RSVP down to one person, one method, i.e. Email JulieTheGreatestMOH@irock.com so no one gets confused and so you can keep a solid list. Now for the big day! 6-8 weeks before the wedding is customary IF you did a Save the Date, if you did not, you should send 12-16 weeks in advance. You want to give adequate time for guests to reply before releasing the RSVP Rottweiler into your next family party to sniff them all out. And it is helpful to number your RSVP cards in the event that someone forgets to write their own name (it happens), or someone doesn’t reply, you can cross reference the blanks with the card numbers to make sure you didn’t miss them. And lastly, it’s time to do what your mother always taught you and say Thank you. No, not in 365 days or less, you should try to get those bad boys out within 90 days. And it’s ok to send a pre wedding thank you to someone who sent a gift early. Yes, I know it won’t have a wedding photo on it, but that’s ok, no one is going to mind that your manners came before your nuptials. I promise.